We have plenty of swimming classes near to you in Hampshire, our highly experienced swimming teachers run classes in Winchester, Bishops Waltham, Southampton, Lymington, Fordingbridge & New Milton. We teach children up to school age (aged 0 – 4) at all of these pools across Hampshire. 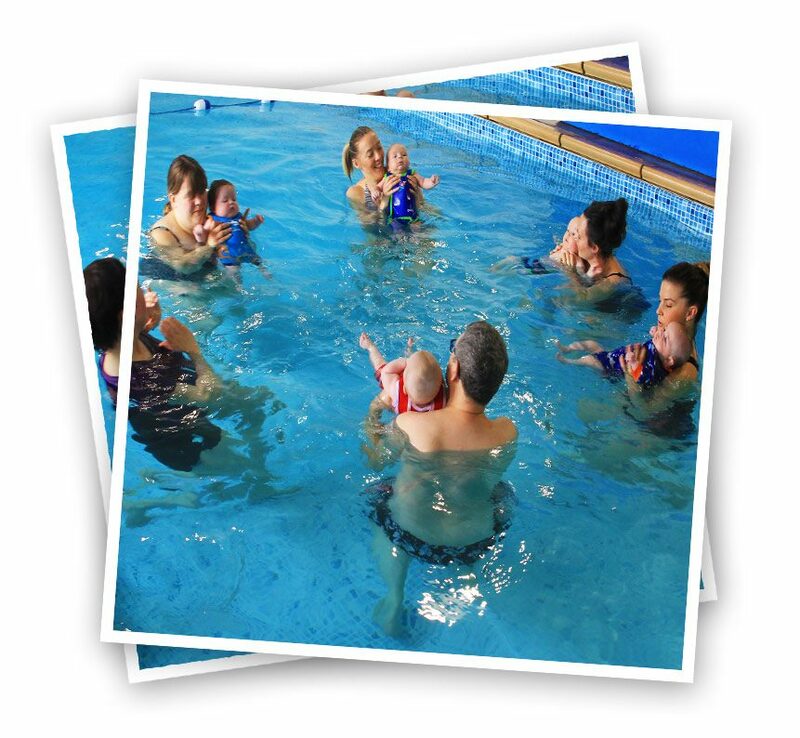 All of our Baby Squids have lots of fun, learn important water safety skills, will develop their first strokes. We use our structured milestones programme to help guide parents through the progress made to date and what skills will be developed next. If you are looking for quality, structured and above all fun swimming lessons for children in Hampshire, then get in touch now. Centrally located hydrotherapy pool heated at 34C, no wetsuits required! Book up for a course of swim classes and if after your first class you decide it’s not for you we offer a full refund to all new customers. We know full well how rapidly your child progresses which is why we split our Hampshire baby swim classes into 4 main Milestones. Each of these Milestones is individual to the current stage of your child’s development. We suggest all our children start their swimming lessons from birth as newborn babies, however, we encourage all ages & abilities to join us during the middle of the term (quite a few of our swimming pools in Hampshire are hydrotherapy pools which means we have plenty of newborn swim lessons!). We love to work with parents on improving your child’s water confidence so if in doubt give us a call and we can talk through everything we do. Submersions and swimming underwater is only a small part of what we do, it is part of our wider Milestones programme which is aimed at improving your child’s confidence swimming swim toys, recognisable songs and concentrating on fun for all! Word association and recognition is a big part of what we do, encouraging children to kick, paddle, swim, jump, hold on to the side – so valuable in young age groups. Our Hampshire children’s swimming lessons have a maximum of eight children in a class. And the preschool classes have a maximum of 4-6 children, depending on the pool and use of swimming assistants. This means that your baby is in a fun group swimming environment but will benefit from plenty of one to one time with our Winchester or Southampton swimming instructors. Our baby swimming lessons in Winchester & Bishops Waltham are particularly good if looking for swim classes in Hampshire, as these pools are 32 celsius plus, so no wetsuits are required. For our newborn swimming lessons in Hampshire, we’re instructing both you and your little one how to be water confident. We do this by teaching you a number of activities using toys and songs. Our lessons & teaching style is specially constructed to ensure your child will quickly gain familiarity and an understanding and confidence in the water. By 18 months many of the newborn babies we have taught are comfortable underwater, as well as being able to independently hold on to the side of the pool and able to jump in and turn to hold with support. All of our swimming pools are handpicked for children’s swimming lessons in Hampshire, they all have really warm temperatures and great pool depth, which makes them great environments to learn in. The progression onto toddlers is natural but also caters for the change in their developmental stage. Our primary focus is to instruct the basic swimming movements. This covers teaching kicking, how to enter the water safely and how to use their arms to create a paddling movement (and roar like a sea monster!). At this age, it’s really important to keep consistency and regularly get swimming time in. Our swim classes are so much fun, lots of jumping off floats and chasing balls around the pool, we know that your babies need to associate swimming with fun to get the most out of it. Both parent and child will learn lots about safety exercises along the way. From 3 years onwards, we will start to get parents out of the water, this is often a gradual process and we work with parents on the best time to do this. What we are working towards at this age is swimming independently and understanding how they can be safe in the water. Water confidence is of course still important and for some that may be starting their swimming journey, this is especially important so we play games and ensure they still associate swimming with fun. So if you’re looking for fun children’s swimming lessons in Hampshire then get in touch!